My husband and I had the most AMAZING experience with Tommy and William. We are both a little camera shy, but they made us feel very comfortable the entire time. I loved our engagement pictures and was blown away with our wedding pictures. To say that they have made complete strangers cry, does not even come close to giving Tommy and William the credit they deserve. We are beyond satisfied with our pictures and wouldn't change anything! We feel blessed to have had Tommy and William capture such wonderful memories for us. Tommy was truly a lifesaver. Prior to meeting him, I reached out to many vendors. Good thing I passed and even better I signed my fiancee and I to attend a bridal expo. This is where we first met. His work was amazing. It speaks for itself. He has an eye to capture the environment while bringing out the focal point of the bride and groom. In addition, his team does after edits to truly make the picture pop. I purchased a package that included an engagement shoot in addition to the wedding along with photo albums. Speaking of which these albums are like no other. The quality is on point, you have to see it for yourself. I booked Tommy at Bellasposa about 6-8 months prior to the big day. He can be reached any time via email and even text. I really appreciate his due diligence. It was great that he shot our engagement photos. Not only did the pictures come out great, but it was considered a test shoot and a way to break the ice further between Tommy and us. On our big day, Tommy and Jeff came to capture every moment. They made the day less stressful by making the most of every situation, making us laugh, having a great time while taking pictures. I do want to note that Tommy hasn't shot on our wedding location before (Skirball Cultural Center). What he did was drove to our wedding location a couple of days before and located some great photo ops. He even text me to see what I thought. We had confetti drop down during our first dance and that picture came out like it belong in a wedding magazine, definitely a Facebook profile pic. Him and Jeff stayed a little after to take night shots as well. For anyone looking to book a photographer, please do yourself a favor and book Tommy for your wedding photography. I not only have timeless photos to cherish but have a friend moving forward. The Best customer service my wife and I ever experienced. We found Bellasposa through Youtube looking at a venue. We first visited Bellasposa for the photography. The moment we meet William my wife and I knew that he would be our photographer. William has that personality that is always making you laugh. My wife said that she wanted him as our photographer. William gave us a great package that included our wedding photos and engagement pictures. William was great during our engagement pictures and for our wedding he showed up with two assistants and they where all very professional and very funny. 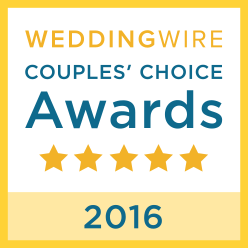 My wife and I are very pleased with service we got from William and Bellasposa. Just a side note Williams brother Tommy is great! As we were talking to William my wife started to walk around the store and was looking at dresses. She loved their customer service so much that a week later she came back with family and friends to look for her wedding dress. She found her dress there and she was able to customize the dress exactly how she wanted it. The dress was beautiful on her. Since we got the dress and photography there they gave a great discount. She is in love with her dress!!! We would like to thank William and his team for a great job. Tommy and Jeff were our photographers for our wedding in January and they were absolutely fantastic!! ...Tommy was completely on top of things, so professional, kind, and enthusiastic! He went above and beyond to get "the shot" and point out areas and photo opportunities that we might have missed on our own. Not only did he do an amazing job as our photographer for the ceremony and reception but once the photos were done and we were looking through them I was even more impressed by the quality of his work. After consulting with Tommy prior to the wedding on what we envisioned for our photographer I was so happy to see that he captured all of those moments I mentioned. The scenery in the background, my dress, expressions, romance...the photos are stunning! My husband, family, and I feel absolutely blessed to have had Tommy and Jeff photograph our wedding. I highly suggest them to other couples who are looking for unique and timeless beauty in their wedding photos. The entire team at Bellasposa is just wonderful. Throughout my wedding planning, I considered each day there a fun and exciting day. My dress consultants were the best and my photographer William Lu was just the best of the best. He made our engagement and wedding pictures very lovely. Gave us many ideas and when we finally got to see them in person our jaw literally dropped. The focus and detail of his cameras and his way of taking the pictures were on point. I would literally recommend William for any type of photography. He is fun, funny and wonderful. Our wedding photographer Tommy though Bellasposa was the best decision we made through the entire planning process! If we could go back in time we would chose him every time! His prices are phenomenal for everything you get and I know he has multiple packages...we picked the most inclusisve package we could and were so happy with that choice. I strongly suggest you do both engagement and wedding photos with him, we picked some pretty different themes and locations and his photography style fit every single one. On the day of the wedding Tommy and his brother William were a perfect addition...they took so many photos and were very easy to work with. I think its important to let them get creative on this one, we didn't paint Tommy into a corner with ideas but I knew he was so talented with photography that that would equal even better photos. The only thing I regretted was not taking more time for photos but even with limited time they took so many photos. We paid for two photographers and it felt like there were 20, they were very attentive and present all the way through the end of the night. We can't thank Tommy and Bellasposa photography enough...they really made our wedding what we dreamed!